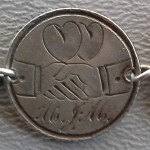 Love tokens were also made for men. 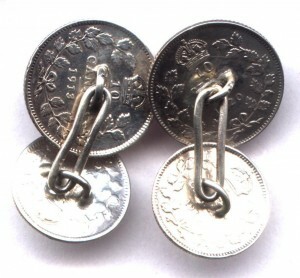 Cuff links and shirt studs can be found every so often. 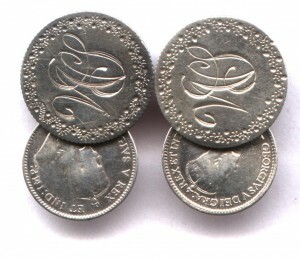 A stud or pin was frequently worn on the lapel. 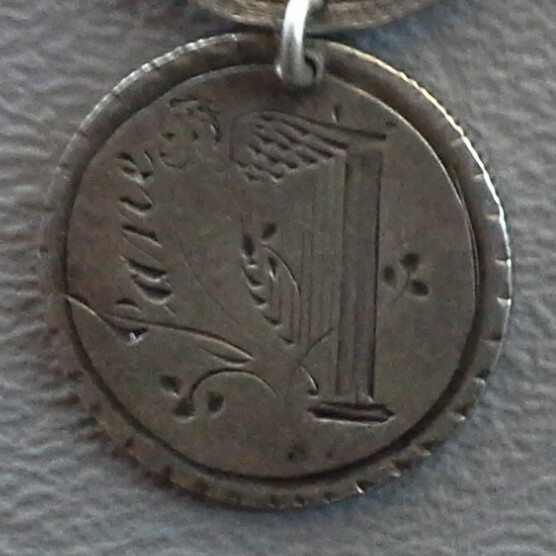 It could have either represented a monogram or the fraternal order the man was affiliated with. 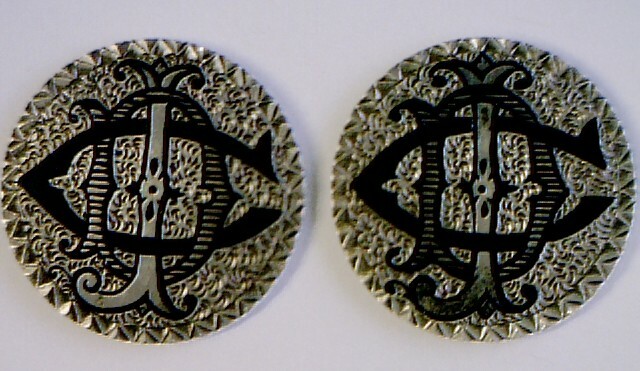 On the photo at left is an “HIO” monogram (turned on its side) on the lapel. 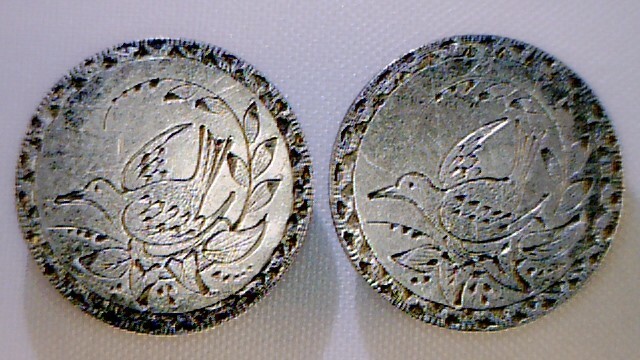 It is probably not a coin, but if it were it would be a cut down coin. 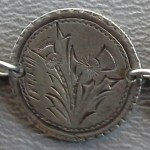 In the photo at right is a love token lapel stud. 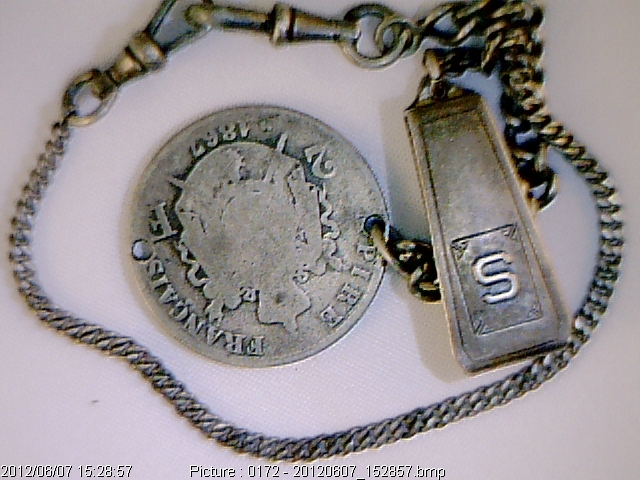 At top center is a man with an ascot, sporting a love token. 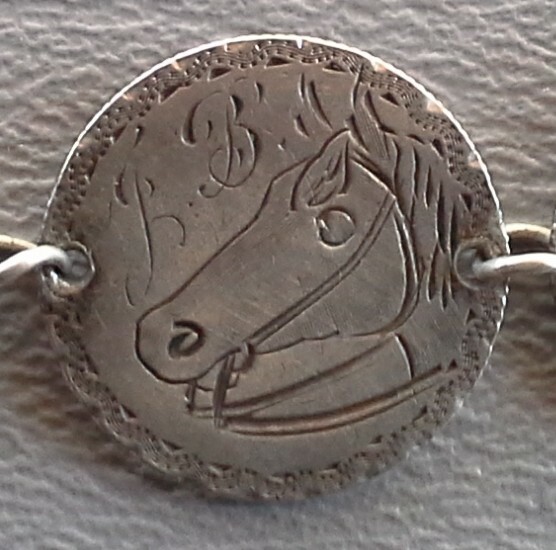 The pin finding is not visible, but it is either a pin or a stickpin. 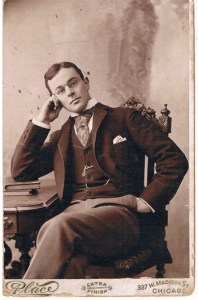 It is interesting to note the fashion of the times. 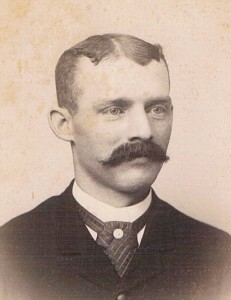 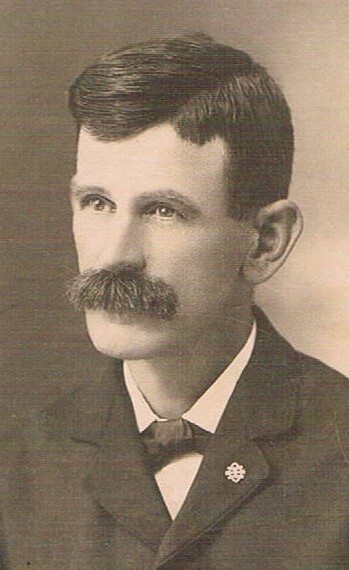 Below is a very distinguished looking young man wearing a three piece suit and an ascot. Three piece suits were in high fashion then whereas they are seldom seen today. 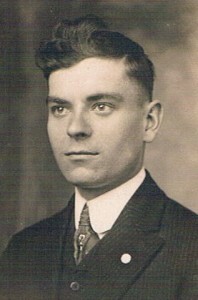 The popularity of these suits was in direct relation to pocket watches. 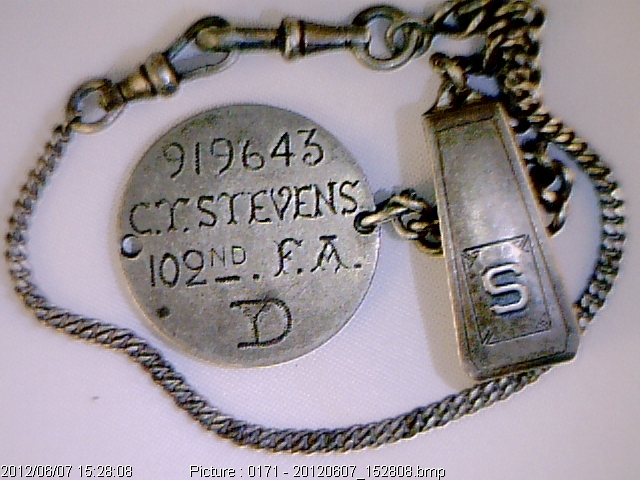 The watch was placed in the vest pocket for easy access. Note the chain with love token fob. 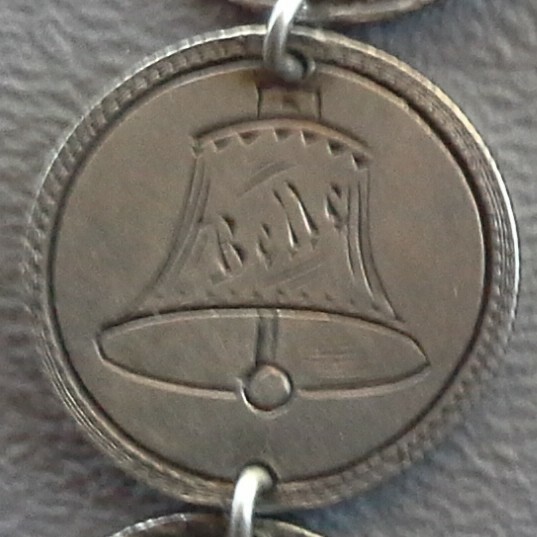 The three ovals forming a chain are the symbol for the "Odd Fellows." 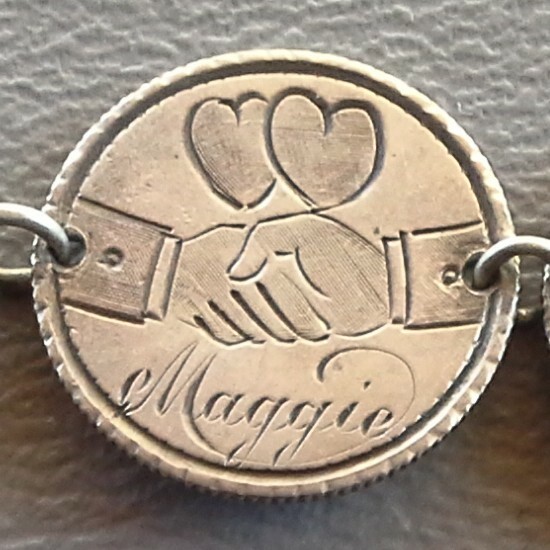 The ovals represent friendship, love, and truth. 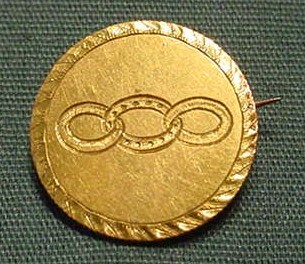 The host coin is a 2 1/2 gold dollar. 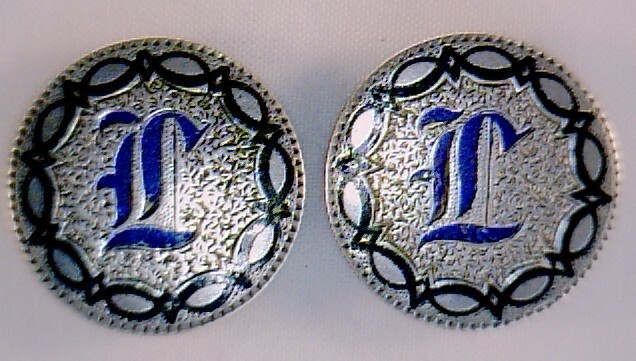 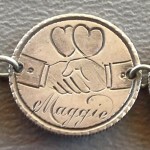 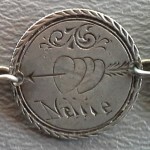 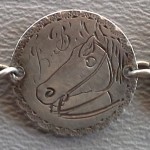 Matched pair of love token buttons, all three engraved “C B D”. Sometimes a cufflink is made by using two buttons and a joiner bar. Whether these were made to be buttons or were from a broken set of cufflinks will never be known. 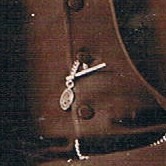 At left: matched initial cuff links. 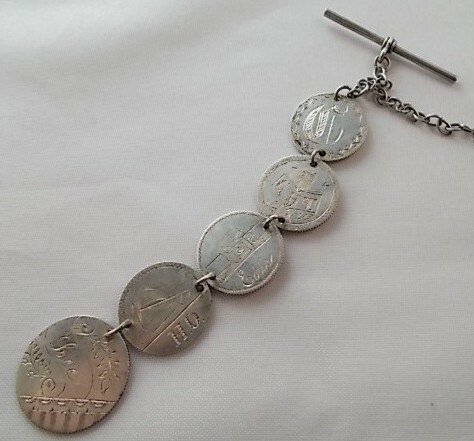 with joiner bar to make cufflinks. 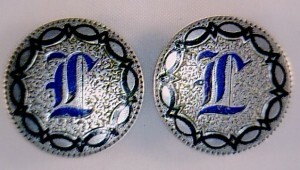 At left: blue and black enamel cuff links with “L” and fancy chain border. At right: matched pair showing no two love tokens are alike. 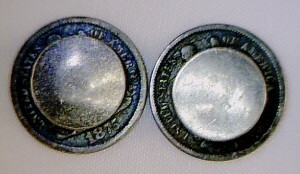 Notice the distinct differences of the bottom letter. 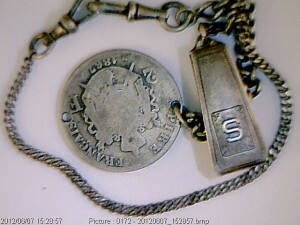 Watch chain with dog tag. 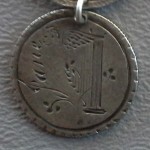 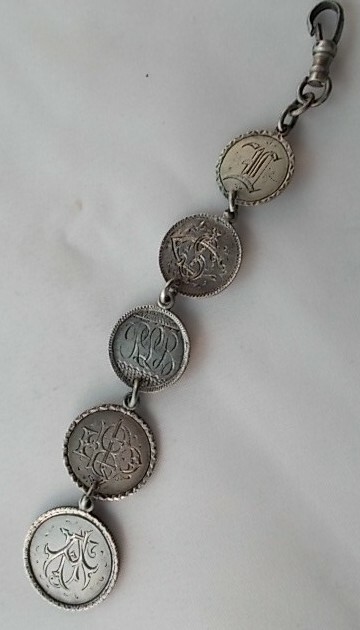 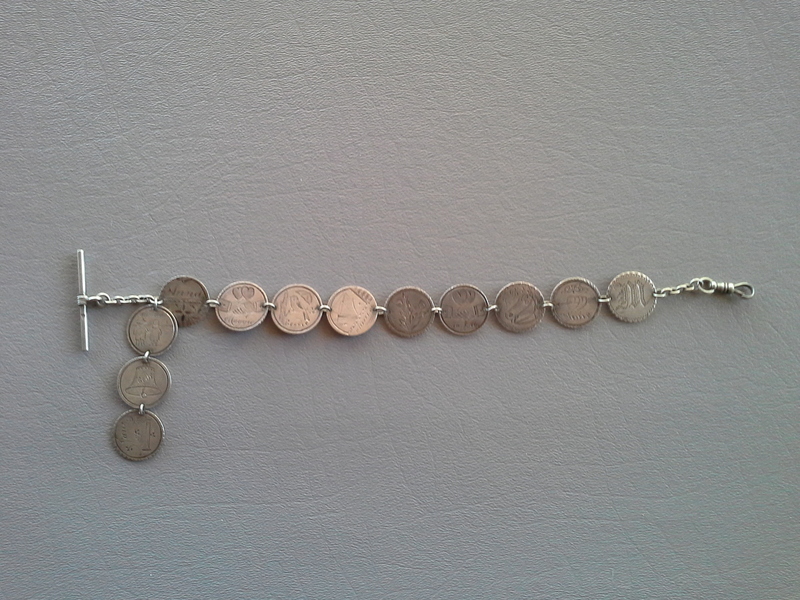 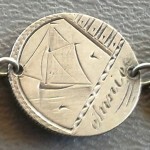 Above: Watch chain made from Liberty seated dimes and two Barber dimes. 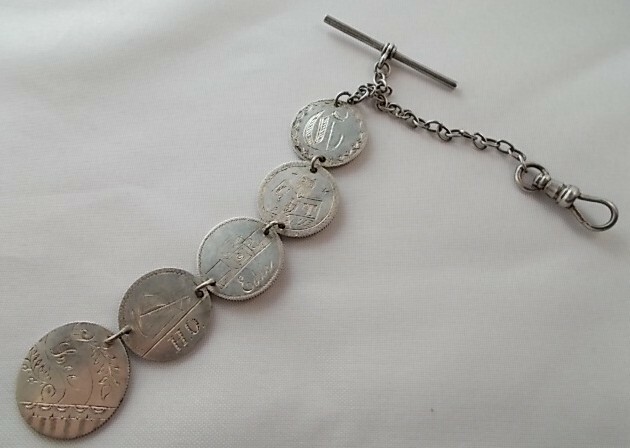 This is a RARE item both in form, watch chain, and the sheer quantity and variety of pictorials. 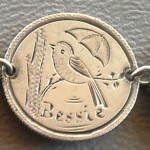 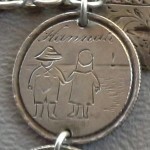 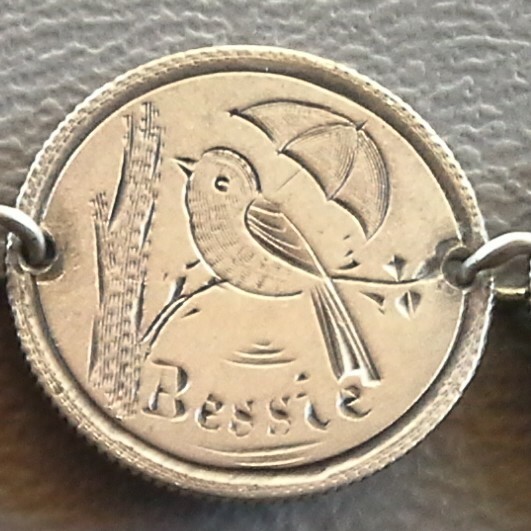 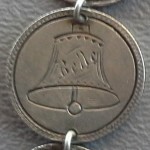 Below: Detail of watch chain pictorial coins. 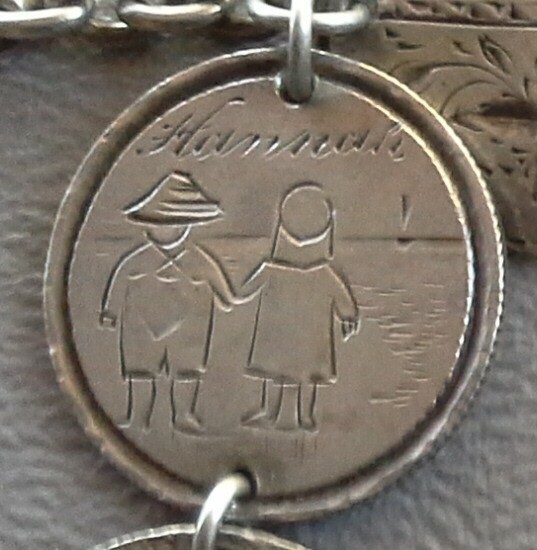 Above: Watch fob with initials and pictorials. 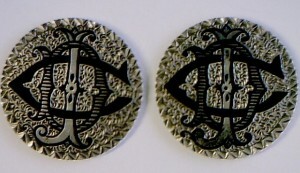 At left: Watch fob with initials and raised “pie crust”border.